In the process of building the soleRebels footwear brand, Bethlehem Tilahun Alemu has become synonymous in the global marketplace with innovation and entrepreneurship. 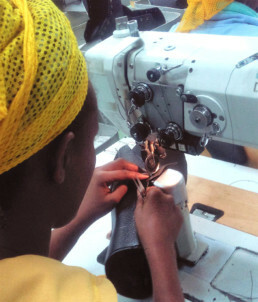 Wanting to leverage the influence of her brand name for the purpose of catalyzing the Ethiopian footwear industry as a whole to meet the goals of the Growth & Transformation 2 [ GTP 2 ] plan set by the Ethiopian government, Bethlehem consulted with governmental and industry leaders and formed the concept for the Made by Ethiopia project. With the active support of the Ministry of Industry, the Leather Industry Development Institute [LIDI] she established Made by Ethiopia to leverage her and her team’s deep experience in Ethiopian footwear manufacturing and their WFTO Fair Trade operational ethos in order assist brands to produce the best footwear inside the best Ethiopian footwear factories under the same Fair Trade ethos she pioneered. 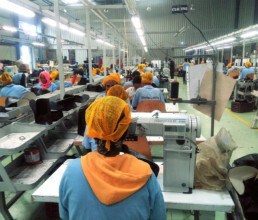 It creates a Humanizing tie to the people making the products; they are Made by Ethiopia. We feel its a strong value proposition and reflects that there are people behind the production. This establishes and positions People and their wellbeing at the core of what we are about. We wanted to emphasize the Pride built into every product we make, and Made by Ethiopia signals that Pride. It also signals that this product is Made by Ethiopians. In an age when products can be made any where we believe its great to connect the place of origin and the workers from that place.